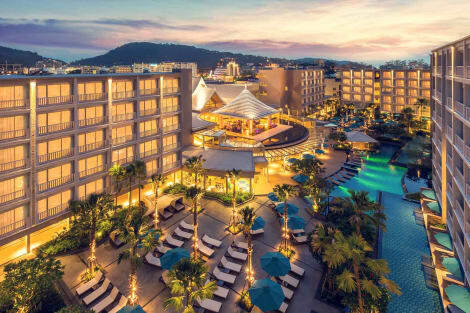 Located just walking distance away from Patong's nightlife and the Andaman Sea, Grand Mercure Phuket Patong is a 314 room resort that includes the only pool villas in the entire Patong area. Featuring an all-day dining restaurant, three unique meeting venues, a bar that boasts imported beers and signature cocktails, a fitness centre, an award-winning spa and a kids' corner, our upscale Resort represents the new generation of retreats, combining natural beauty and cultural heritage. This property is a 10-minute walk from the beach. 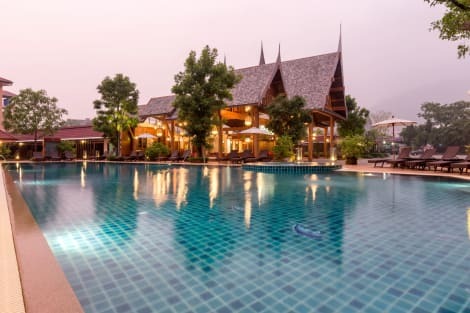 Nai Na Resort & Spa is a 10-minute drive to Patong Beach. It offers free Wi-Fi in all areas and private parking on site. Staff at the 24-hour front desk can attend to guests’ requests. Fitted with a balcony, each air-conditioned room features a flat-screen cable TV, fridge and en suite bathroom with shower facilities. Compulsory Gala dinner for this year on 31/12/18 – Price is 4,000 THB Per adult, for children from 1 to 3 years old is Free Of Charge and for children from 4 to 11 years old is 3,000 THB per person. 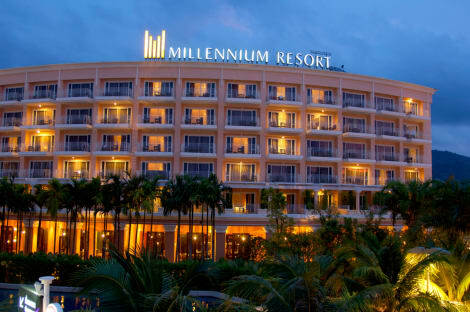 Millennium Resort Patong Phuket is located in Patong, Phuket's most exciting destination that never sleeps. Just a 5-minute walk to the world-famous Patong Beach. Enjoy conveniences at Jungceylon Shopping Mall just steps within the same premises, and a never-ending variety of F&B choices, entertainment and nightlife within the immediate surroundings. 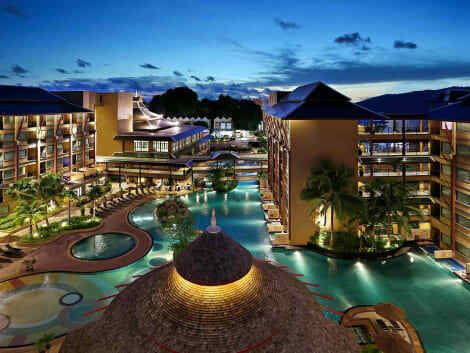 Novotel Phuket Vintage Park is a 4-star resort featuring contemporary South East Asian architecture and modern facilities. 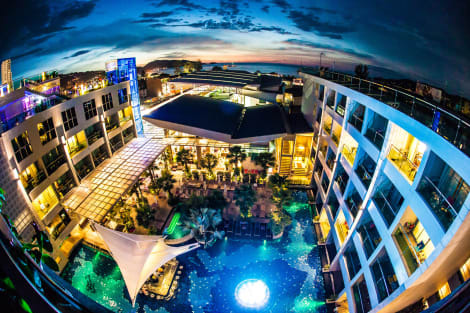 Only a few steps away from shopping centers and Patong's vibrant nightlife, the hotel boasts an all-day dining restaurant, a swim-up bar, a lobby bar, a ballroom dividable into three meeting rooms, a 2,000 m² swimming pool, complimentary WIFI, fitness, and large outdoor car park. 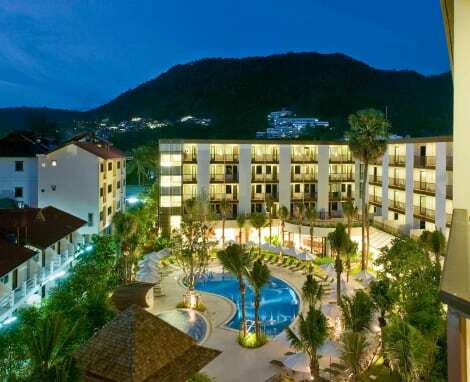 Holiday Inn Resort Phuket is perfectly located in the heart of Patong, Phuket’s most famous beach. Holiday Inn Resort Phuket is an oasis in the middle of Patong and is within walking distance to shopping, restaurants and night life and just steps away from the beach. 10 minutes away from Jungeceylon shopping center, Soi Bangla Nightlife, and Patong beach is just across the road. Holiday Inn Resort Phuket is part of the world’s most recognized upper mid-scale brands, and it offers a fantastic choice with seven different room categories, separated in two distinctive wings. The contemporary designed main wing is popular for its kids and family friendly rooms and facilities. The Busakorn wing Studio rooms with Thai design offers spacious rooms, a tranquil pool with swim up bar in a tropical garden environment. The exclusive Villa pool view or Villa pool access rooms are appreciated by couples seeking a more intimate Resort experience and are adult only rooms. Holiday Inn Resort Phuket is well known for its excellent breakfast buffet and great value cuisine in the resort’s four restaurants. Holiday Inn Resort Phuket provides daily guest activities and dedicated kids facilities. A refreshing spa and several pools in tropical gardens give choices to relax or be active. At the heart of Patong, Holiday Inn Resort Phuket offers guests a warm Thai welcome, friendly service and total ease, simply Patong’s best choice. Make yourself at home in one of the 132 air-conditioned rooms featuring refrigerators and minibars. Complimentary wireless Internet access keeps you connected, and cable programming is available for your entertainment. Private bathrooms with showers feature complimentary toiletries and hair dryers. Conveniences include phones, as well as safes and desks. Make use of convenient amenities such as complimentary wireless Internet access, babysitting/childcare, and tour/ticket assistance. Guests can catch a ride to nearby destinations on the area shuttle (surcharge). Make yourself at home in one of the 20 air-conditioned rooms featuring minibars and DVD players. 32-inch LCD televisions with cable programming provide entertainment, while complimentary wireless Internet access keeps you connected. Private bathrooms with showers feature complimentary toiletries and hair dryers. Conveniences include laptop-compatible safes and desks, as well as phones with free local calls. Featured amenities include limo/town car service, a computer station, and express check-in. A roundtrip airport shuttle is provided for a surcharge (available on request), and free self parking is available onsite. Make yourself at home in one of the 226 air-conditioned rooms featuring refrigerators and flat-screen televisions. Complimentary wireless Internet access keeps you connected, and satellite programming is available for your entertainment. Private bathrooms with showers feature complimentary toiletries and hair dryers. Conveniences include phones, as well as safes and desks. 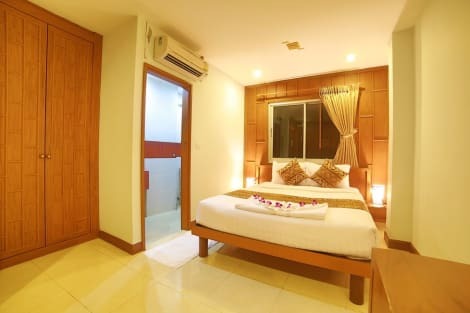 With a stay at Tri Trang Beach Resort by Diva Management in Patong, you'll be on the beach, a 3-minute walk from Tri Trang Beach and a 5-minute drive from Freedom Beach. 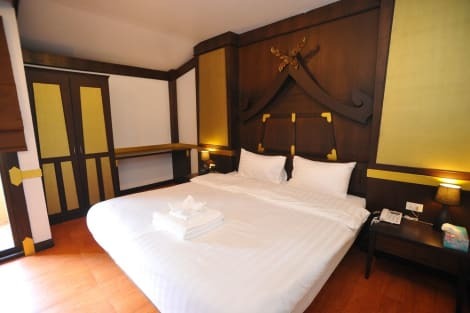 This 4-star hotel is 1.4 mi (2.2 km) from Patong Beach and 2.3 mi (3.8 km) from Bangla Road. lastminute.com has a fantastic range of hotels in Kata noi Beach, with everything from cheap hotels to luxurious five star accommodation available. We like to live up to our last minute name so remember you can book any one of our excellent Kata noi Beach hotels up until midnight and stay the same night.